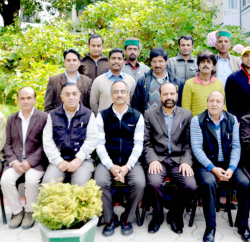 Himachal Pradesh Institute of Public Administration (HIPA) organised a three day 14th Advisory Committee workshop on Eco- Water, Sanitation and Hygiene (WaSH) Literacy Programme being run by the Department of Science and Technology. The Eco-WaSH programme aimed at spreading awareness and literacy on water and sanitation hygiene related issues trough Science and Technology interventions. The programme is being run by National Council for S&T Communication (NCSTC). The programme encourages dialogue on contemporary issues of water conservation, water quality and climate change, inculcating scientific temperament by using various modes of communication and scientific explanation constitutes the focus area of the programme. 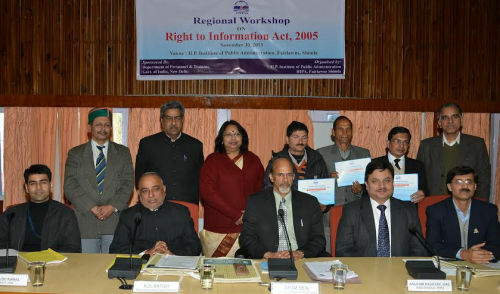 Documentation and dissemination of traditional knowledge was also debated in the workshop and experts from all over the country. The experts reviewed the needs of different parts of country and representatives from the States Manipur, Gujarat, Rajasthan, Andhra Pradesh, Punjab made presentations on the proposals for the projects being implementation by them.